The capital is the city of Otsu　大津.
. Oomi Hakkei　近江八景 Eight Views of Omi .
. Biwako 琵琶湖 Lake Biwa .
. Ootsu-e 大津絵 Paintings from Otsu .
. Otsu-E 大津絵 -　鬼 Demon Paintings from Otsu .
. amiori tsumugi, ami-ori 網織紬 Amiori pongee .
. Daikoku on a rabbit . Obata 小幡 is a small village in Gokasho. 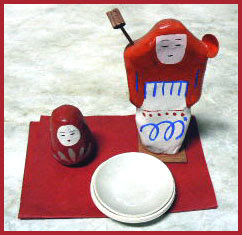 Obata deko　木幡でこ - deko is the local dialect for "doll". Hosoi Gengo 細居源悟 is now in the 9th generation to make them. They have a tradition of more than 300 years. 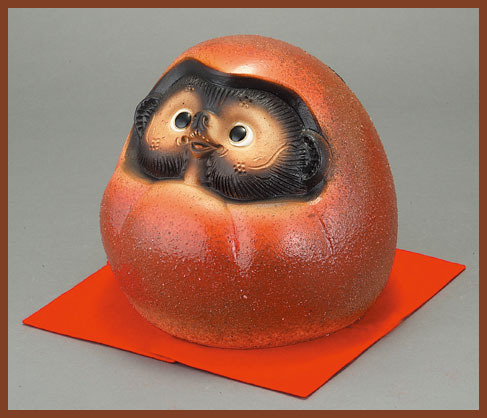 The first Hosoi Yasubei, 細居安兵衛, brought the tradition from Fushimi, Kyoto. He was a kind of mailman, running back and forth to Kyoto for many years before settling in Obata. 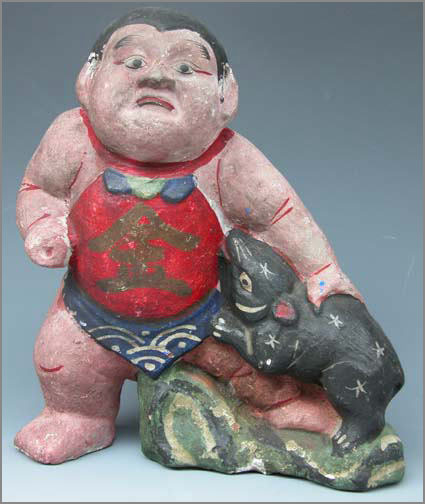 His home was along the Nakasendo Road, so he made souvenir dolls for the travelers. 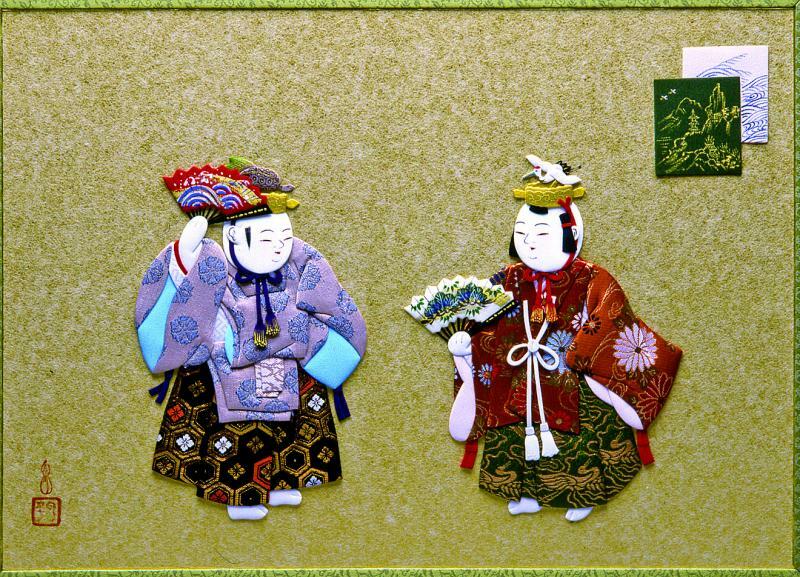 They are rather colorful and depict seasonal festival themes and good-luck themes with a repertoir of more than 400 different ones.
. Hideyoshi 太閤秀吉 doll made by 細井文造 Hosoi Bunzo .
. komori 子守 / 子守り taking care of a baby .
. okoso zukin 御高祖頭巾 hood for winter doll . 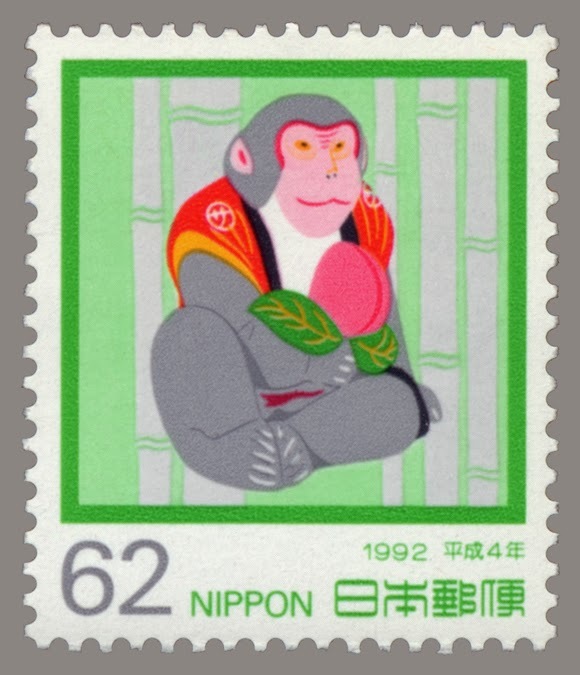 They have been the subject of a New Year Stamp in 1992 / 平成４. 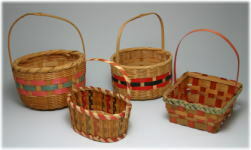 The second from the left if from Minakuchi. Kusatsu is located on the shores of lake Biwako, opposite to the town of Otsu 大津. 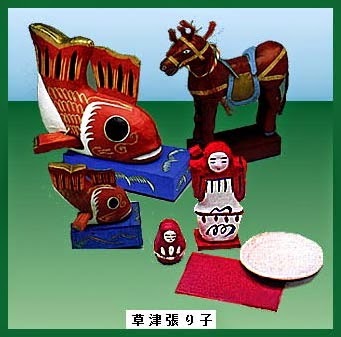 Dolls of this town are related to warding off smallpox (hoosoo yoke 疱瘡除け). They are sold in the store 日用雑貨店「川源」and in Moriyama town、守山市 Asahi store 朝日. with shoojoo 猩猩 Shojo "legendary heavy drinker"
. Shoojoo 猩猩 Shojo, legendary heavy drinker . Made according to paintings by 高橋松山　Takahashi Shozan.
. Otsu Paintings 大津絵 Ootsu-e .
float of the Nagahama Hikiyama festival .
. migawarigaeru, migawari kaeru　身代わり蛙　frog taking on eye disease .
. Omi Hachiman Sagicho Matsuri 近江八幡　左義長まつり . The Sagicho Matsuri is a festival of 13 colorful Sagicho floats painstakingly made with edible materials. Special amulets are made for the festival. 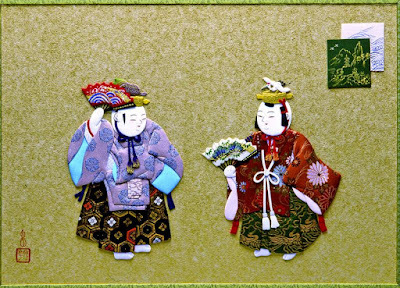 The original is a 3 meter high festival float made from new straw of the year, decorated with red paper and green auspicious figures.
. Omi joofu 近江上布 Omi Jofu Ramie fabric .
. Oomi shoonin tsuchi ningyoo 近江商人土人形 clay dolls from tradesmen of Omi .
. Oomi Daruma 近江だるま Daruma from Omi .
. Merchants of Edo -　豪商　gooshoo .
. Saru 猿　/ 申　Monkey Amulets .
. Ootsu Matsuri 大津祭 Otsu festival, Otsu Matsuri . The Shigaraki Ceramic Cultural Park was built as a part of the people’s recreation land project. The SCCP is intended to support various activities around the theme of ceramics, including artistic creation, training, and exhibitions. The aims of the SCCP als include the promotion of local industry and the development of culture through human, materials, and informational exchanges, interfacing with the world. The Park was completed and opened in June 1990.
. Tanuki and Shigaraki Pottery 信楽狸 .
. Shigaraki Tanuki Fudo 信楽狸不動 from Shigaraki pottery . 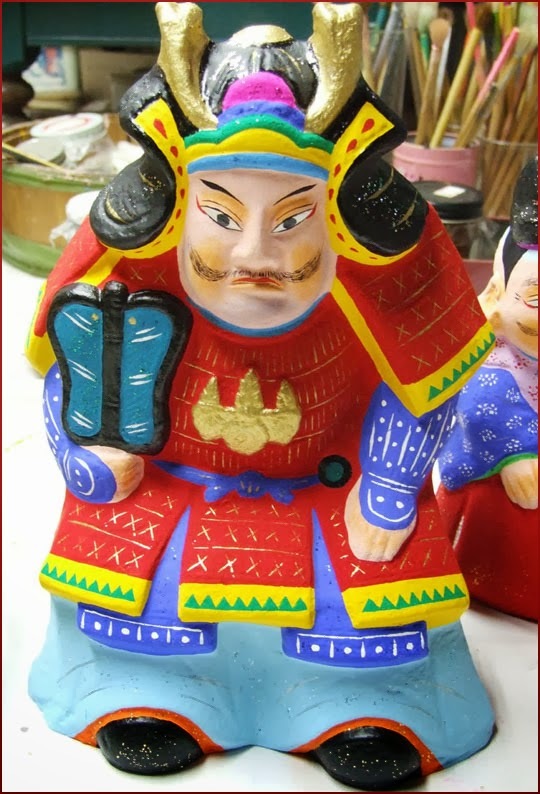 The first Kosen was a painter from Kochi, who later changed to making all kinds of clay dolls. His daughter 信子 Nobuko inherited the name of Kosen and continued the production, together with his younger brother, 貞彦 Sadahiko a potter from Shigaraki. But when Sadahiko died in 1972, that was the end.
. Tosa Anesama Dolls 土佐姉様 by Yamamoto Kosen .
. Taroobooguu 太郎坊宮 Shrine for the Tengu Tarobo . The Tengu 太郎坊 Taro-Bo venerated here is a symbol of victory. He is the elder brother of Jirobou Tengu at Kyoto Kurama. 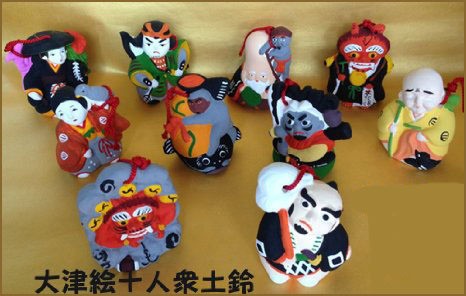 Tengu masks 天狗面 and bells 天狗鈴 are great amulets. The Yokaichi kite festival began during the Edo period. Kites were flown by families who had a son born during the current year. Today it is held on the fourth Sunday of May and it is competition between teams from the area. The kites, called Oodako, are designed and built by the teams using local bamboo and washi (rice paper). The face must represent a phrase or play on words – the top half is a picture of a plant or animal and the bottom is a kanji character. The giant kites average 12m x 13m and weigh as much as 700kg. 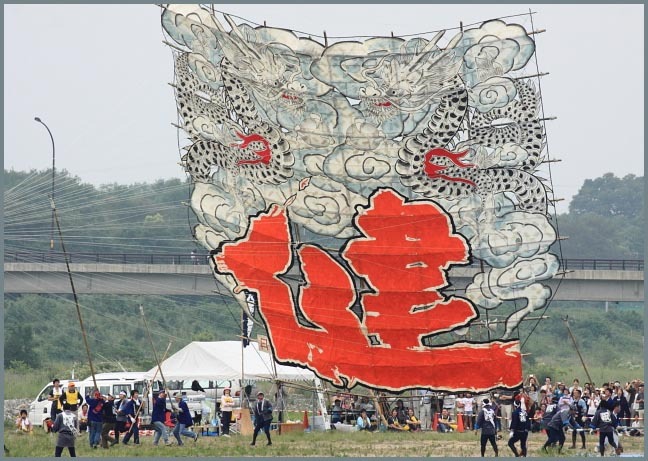 The largest kite ever flown at Yokaichi was 19m x 20.5 m and weighed 1500 kg. 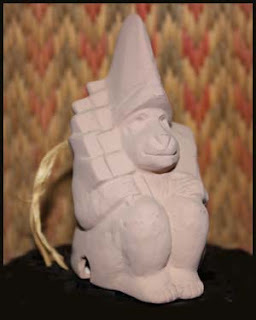 Judging is based on the decoration, its meaning, flight time and technique. 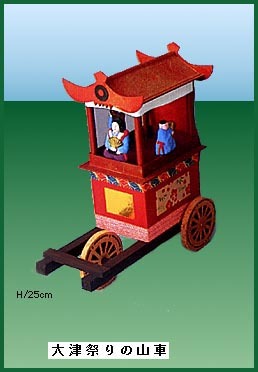 Teams of all ages participate.
. tako　凧 Kites of Japan .
. Shiga Folk Toys - this BLOG .